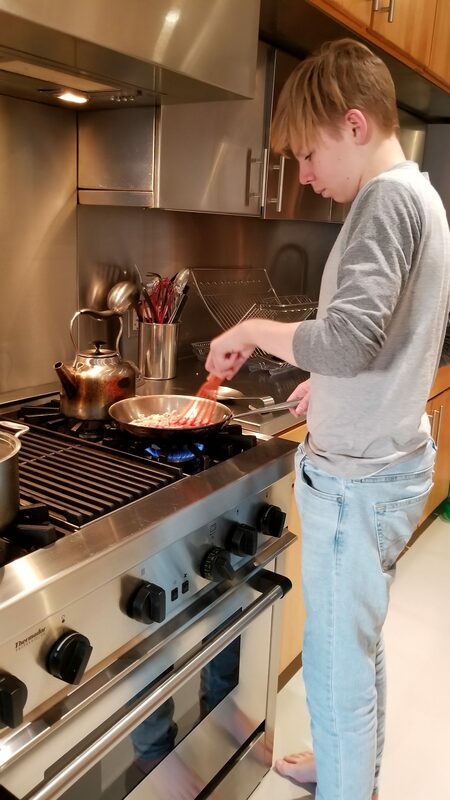 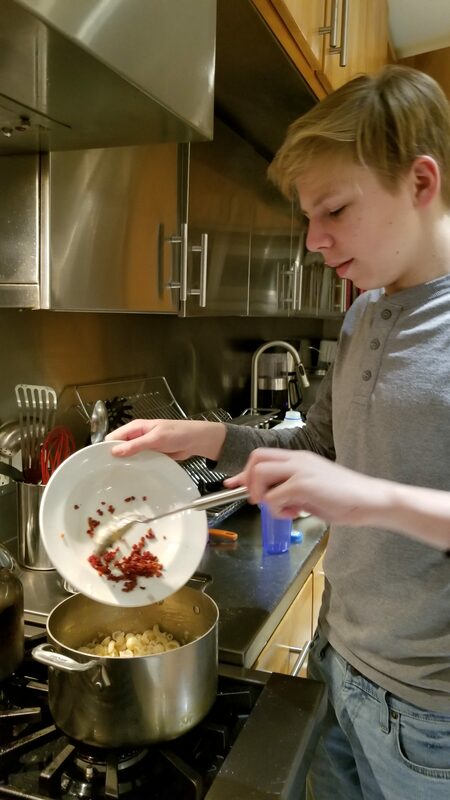 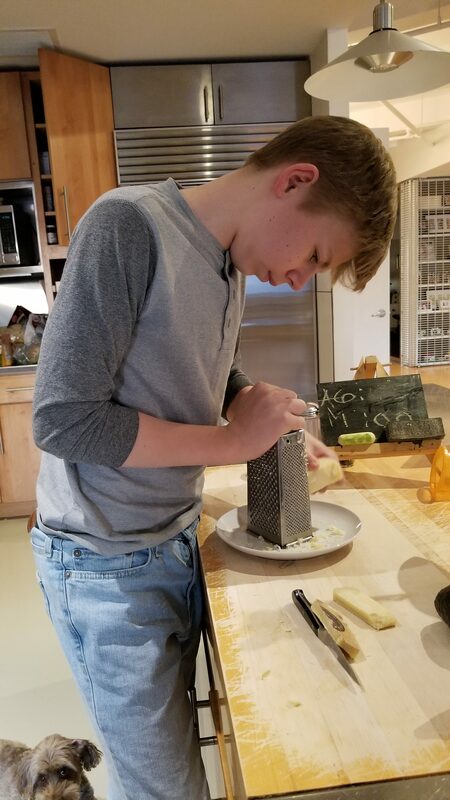 KidsCookDinner brought to you by Max&Alex&Kate: LET's ALL COOK MORE! First step was to start the water boiling and sautee the pancetta in a little olive oil. (You could also cook it or bacon in a microwave). 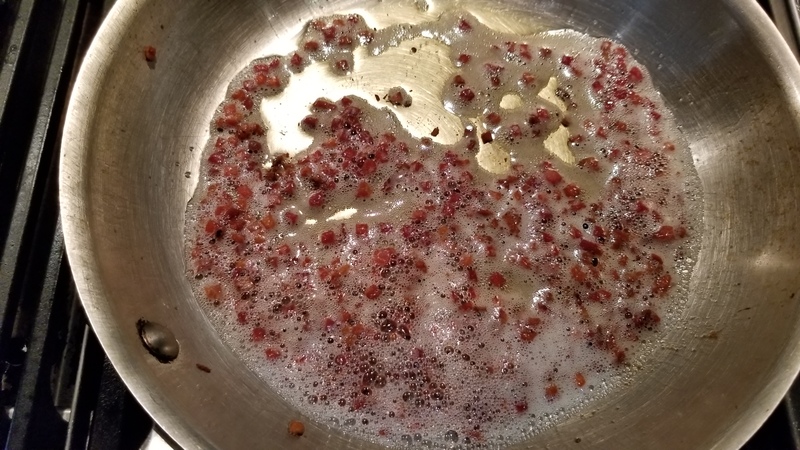 After the pancetta was crispy, I put it on paper towels to absorb the extra oil. 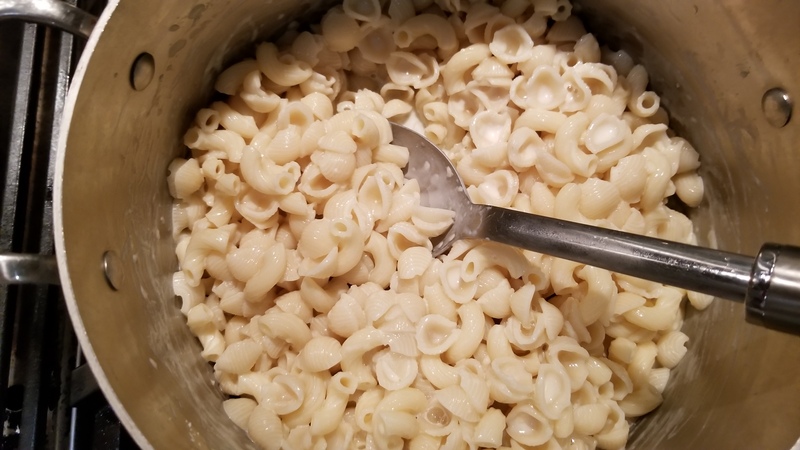 Meanwhile the water was boiling so I added the pasta shells to cook. 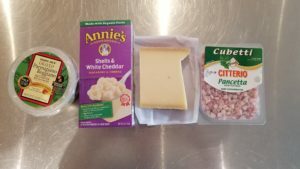 While the pasta cooked, I grated the gruyere cheese (you can use any type of cheese here, including pre-grated cheese if you are lazy or don’t have a cheese grater) and prepped my toppings. 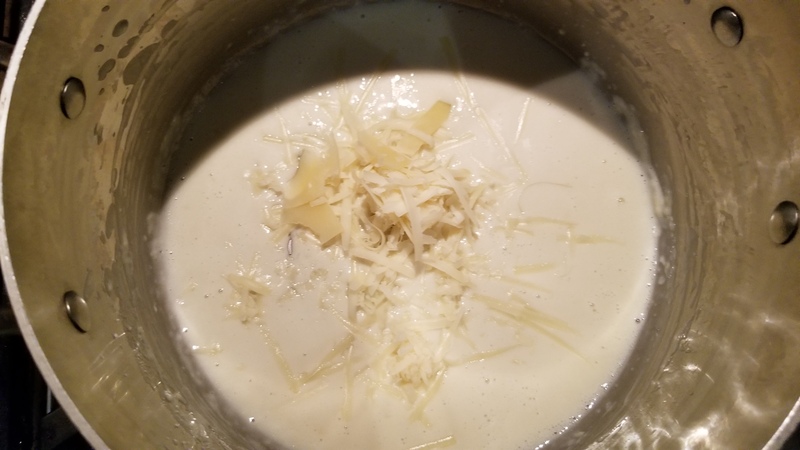 When the pasta was done, I made the sauce that came in the box, mixed in half the grated gruyere and then the pasta. The almost final step was to top with the pancetta (another great addition is chopped fresh tomatoes, or my sister’s favorite: truffle salt). 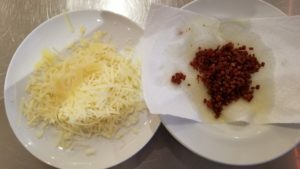 And the final step was to serve, sprinkle a little grated parmesan cheese on, and eat. 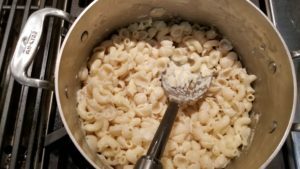 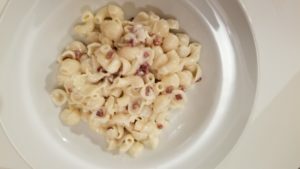 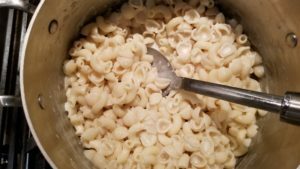 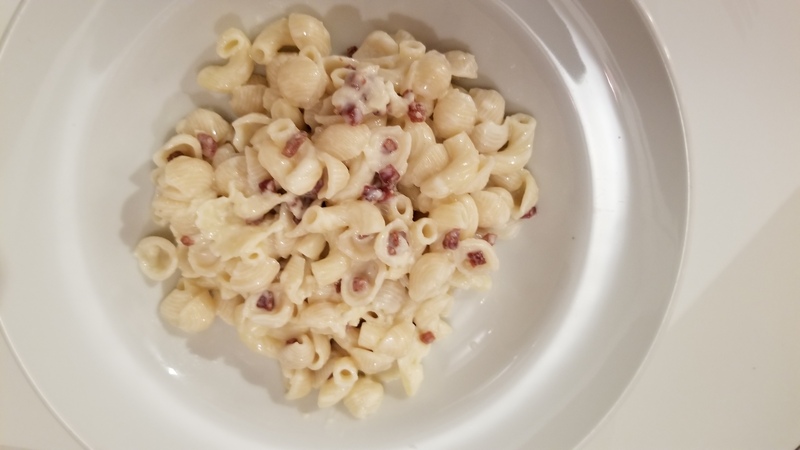 The great thing is, that in the same amount of time it takes to make a normal box of mac and cheese, you can make a really tasty version! 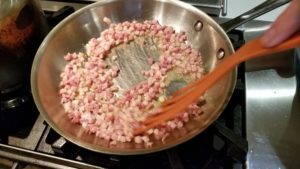 The only thing I would change with this recipe, however, is to DOUBLE the pancetta.